3IN1 ELLIPTICAL CROSS TRAINER AND EXERCISE BIKE WITH RESISTANCE BANDS Your own quality home gym. A revolution in home gym equipment - have an elliptical trainer and an exercise bike for the price of one. Save space and save money while getting maximum results. Switch in 30 seconds: Getting bored with one exercise or need to target and tone different muscle groups? In just 30 seconds you can switch the handles between stationary and elliptical positions! Reversible movement: This elliptical bike features a fully reversible movement which allows you to target a whole new muscle group as you push backward. Tone your legs like no other machine on the market! Computer functions: Push your personal best using the on-board computer which displays duration in time, speed, distance, heart rate and even a rough guide on calories burned. Resistance Bands: This bike features attachment points for resistance bands on both ends of the bike. Giving you great flexibility in how you set up your workout space. Resistance band exercises are ideal for home exercise programs. They're a great way to add variety to your workout routine as they provide constant tension on the muscle- unlike exercising with dumb bells or barbell weights. 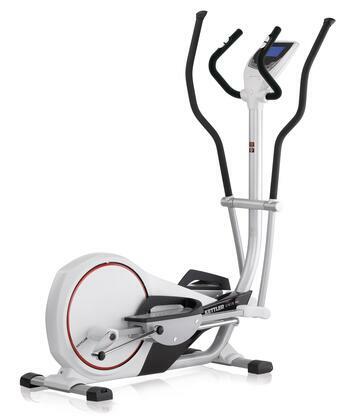 Don't put off getting in shape any longer, take the first step with the PowerTrain multi-function elliptical bike today! FEATURES Non-impact workout: easy on joints Full body workout Ergonomic design Heart rate monitor Variable resistance Reversible movement Total weight: 29kg Dimensions: 145(H) x 60(W) x 110(L) approx SPECIFICATIONS Brand: PowerTrain Max Weight Cap: 110kg Frame: Steel Overall Height: 145cm Unit Weight: 29kg Note: This unit requires assembly. This should take 45-60 minutes. Adjustable resistance of cardio machines relates to personal choice of the user (i.e, too hard or too easy) will not give rise a warranty claim as physical exercise is a subjective notion and will not be considered a manufacturing fault. PACKAGE CONTENTS 1 x 3in1 Elliptical Cross Trainer And Exercise Bike With Resistance Bands 2 x Resistance Bands 1 x Instructions Manual Note: This order will be dispatched from our Melbourne Warehouse. This item may arrive in a separate delivery to the rest of your order. Usual dispatch time is 1-2 business days from order. 2IN1 ELLIPTICAL CROSS TRAINER AND EXERCISE BIKE Your own quality home gym. 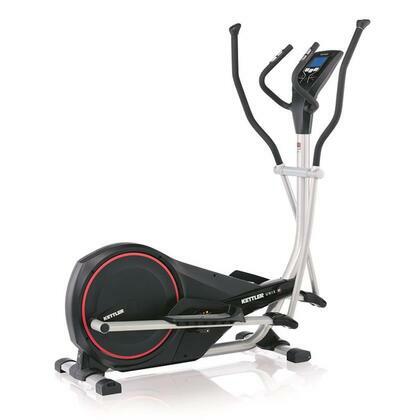 A revolution in home gym equipment - have an elliptical trainer and an exercise bike for the price of one. Save space and save money while getting maximum results. Switch in 30 seconds: Getting bored with one exercise or need to target and tone different muscle groups? In just 30 seconds you can switch the handles between stationary and elliptical positions so you can stand and use this machine as a fully featured elliptical cross trainer, or sit with stationary handles and use it like an exercise bike! Reversible movement: This elliptical bike features a fully reversible movement which allows you to target a whole new muscle group as you push backward. Tone your legs like no other machine on the market! Computer functions: Push your personal best using the on-board computer which displays duration in time, speed, distance and even a rough guide on calories burned. So don't put off getting in shape any longer, take the first step with the PowerTrain multi-function elliptical cross-trainer and exercise bike today! FEATURES Non-impact workout: easy on joints Full body workout Ergonomic design Variable resistance Reversible movement SPECIFICATIONS Brand: Powertrain Material: Steel Size: 132(H) x 50(W) x 100(L) Max Weight Cap: 115kg Unit Weight: 27kg Note: Basic assembly is required which should take around 30 min Adjustable resistance of cardio machines relates to personal choice of the user (i.e, too hard or too easy) will not give rise a warranty claim as physical exercise is a subjective notion and will not be considered a manufacturing fault. PACKAGE CONTENTS 1 x 2in1 Elliptical Cross Trainer And Exercise Bike 1 x User Manual Note: This order will be dispatched from our Melbourne Warehouse. This item may arrive in a separate delivery to the rest of your order. Usual dispatch time is 1-2 business days from order. 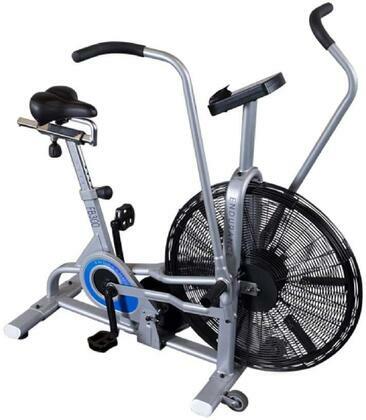 5-IN-1 ELLIPTICAL CROSS TRAINER BIKE WITH DUMBBELL SETS Your own quality home gym. A revolution in home gym equipment - have an elliptical trainer and an exercise bike for the price of one. Save space and save money while getting maximum results. Switch in 30 seconds: Getting bored with one exercise or need to target and tone different muscle groups? In just 30 seconds you can switch the handles between stationary and elliptical positions! Reversible movement: This elliptical bike features a fully reversible movement which allows you to target a whole new muscle group as you push backward. Tone your legs like no other machine on the market! Computer functions: Push your personal best using the on-board computer which displays duration in time, speed, distance, heart rate and even a rough guide on calories burned. Dumbbell Set: Your purchase includes two dumbbell sets (2lbs and 3lbs) made of iron and coated with vinyl coating for maximum comfort and grip. Training with dumbbells can help you achieve your fitness goals more effectively. Resistance Bands: This bike features attachment points for resistance bands on both ends of the bike. Giving you great flexibility in how you set up your workout space. Resistance band exercises are ideal for home exercise programs. They are a great way to add variety to your workout routine as they provide constant tension on the muscle. 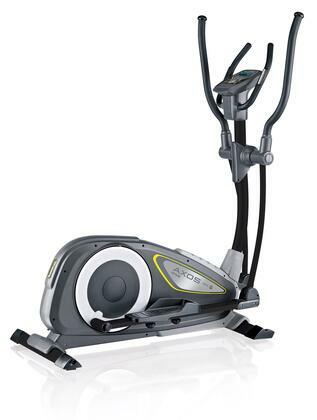 Don't put off getting in shape any longer, take the first step with the PowerTrain multi-function elliptical bike today! Please note: Basic assembly is required which should take around 30 min. FEATURES Non-impact workout: easy on joints Full body workout Ergonomic design Heart rate monitor Variable resistance Reversible movement Total weight: 35 kg Maximum user weight: 110 kg Dimensions: (H x W x L) 145 x 60 x 110 approx SPECIFICATIONS Brand: PowerTrain Type: Elliptical Trainer Max Weight Cap: 110 kg Frame: Steel Overall Height: 145 cm Unit Weight: 35 kg PACKAGE CONTENTS 1 x Elliptical Trainer Bike 1 x Resistance tube set 1 x 2lbs Dumbbell set 1 x 3lbs Dumbbell set Note: This order will be dispatched from our Melbourne Warehouse. This item may arrive in a separate delivery to the rest of your order. Usual dispatch time is 1-2 business days from order. 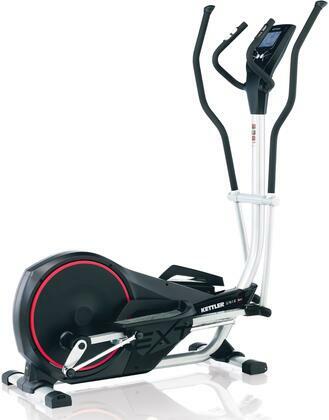 ELLIPTICAL CROSS TRAINER Your own quality home gym. A revolution in home gym equipment - Great on joints while maximizing the cardiovascular benefits. Save space and save money while getting maximum results. Switch in 30 seconds: Getting bored with one exercise or need to target and tone different muscle groups? In just 30 seconds you can switch the handles between stationary and elliptical positions! Reversible movement: This elliptical trainer features a fully reversible movement which allows you to target a whole new muscle group as you push backward. Tone your legs like no other machine on the market! Computer functions: Push your personal best using the on-board computer which displays duration in time, speed, distance and even a rough guide on calories burned. Don't put off getting in shape any longer, take the first step with the PowerTrain multi-function elliptical cross trainer today! FEATURES Non-impact workout: easy on joints Full body workout Ergonomic design Total weight 25kg Maximum user weight: 115kg 132(H) x 50(W) x 100(L) (cm approx) Variable resistance Reversible movement SPECIFICATIONS Brand: PowerTrain Size: 132(H) x 50(W) x 100(L) Max Weight Cap: 115kg Frame: Steel Overall Height: 150cm Note: This unit requires assembly. This should take 35-45 minutes. Adjustable resistance of cardio machines relates to personal choice of the user (i.e, too hard or too easy) will not give rise a warranty claim as physical exercise is a subjective notion and will not be considered a manufacturing fault. PACKAGE CONTENTS 1 x Elliptical Cross Trainer 1 x User Manual Note: This order will be dispatched from our Melbourne Warehouse. This item may arrive in a separate delivery to the rest of your order. Usual dispatch time is 1-2 business days from order. .REPLACES:.VOLVO: 31368427-6 313684276 31368867-3 313688673.PARTSLINK: VO3115113. ITEM DESCRIPTION: DUAL RADIATOR AND CONDENSER FAN. UNIT TYPE: VOLVO. COMPONENTS INCLUDED: FAN CONTROL MODULE. CONNECTOR QUANTITY: 1.CONNECTOR TERMINAL QUANTITY: 2.CONNECTOR TYPE: MALE. FAN BLADE MATERIAL: PA+GF. FAN TYPE: SINGLE FAN. SHROUD INCLUDED: WITH SHROUD. SHROUD MATERIAL: PA+GF. PRODUCT NOTICE:.As a parts distributor we mostly sell aftermarket parts (any OEM parts would be noted as such). Aftermarket parts are not sourced from the original vehicle or equipment manufacturer, but are designed to function the same as - if not better than - the original. All parts sold are new. APPLICATIONS:.VOLVO S60 CROSS COUNTRY 2016-2017.VOLVO S60 2.0L L4 1969CC 120 CID 2016 W/ SINGLE FAN. VOLVO S60 2.0L L4 1969CC 2015-2017 W/ SINGLE FAN. VOLVO S60 2.0L L4 1999CC 122 CID 2012-2016 W/ SINGLE FAN. VOLVO S60 2.5L L5 2521CC 2012-2016 W/ SINGLE FAN. VOLVO S80 2.0L L4 1969CC 2015-2016.VOLVO S80 3.2L L6 3192CC 2011-2014 W/ SINGLE FAN. VOLVO V60 CROSS COUNTRY 2015-2017.VOLVO XC60 2010-2017 W/ SINGLE FAN. VOLVO XC70 2008-2016 W/ SINGLE FAN. CFR Performance is an automotive car and truck accessories. We have put together some new and innovative product and provide you with superior quality and cost effective products. Size: 27-1/2 x 18-1/2 in. .Features:- Lightweight ABS shell with comfortable & heavily cushioned interior- Air vents to create light flow of air for cool and comfortable riding- Built-in double visors - wide visual field clear visor & inner sun visor- Tough & high elastic front visor for great impact resistance- Streamlined aerodynamic design - reduces wind noise and drag- Removable and washable cheek pads for easy cleaning- DOT approved for US safety standard. Specifications:- Size: XL- Fits Head Circumference: 24" x 24 7/16" (61 to 62cm)- Overall Dimension (LxWxH): 10 7/8" x 14 3/16" x 10 1/4" (27.5 x 36 x 26 cm)- Material: ABS, EPS- Net Weight: 4 lbs (1.8 kg).Package Contents:- 1x Helmet- 1x Bag- 1x Manual. Notice:- Please measure your head circumference to determine which size is suitable for you before purchasing. .Features:- Lightweight ABS shell with comfortable & heavily cushioned interior- Air vents to create light flow of air for cool and comfortable riding- Built-in double visors - wide visual field clear visor & inner sun visor- Tough & high elastic front visor for great impact resistance- Streamlined aerodynamic design - reduces wind noise and drag- Removable and washable cheek pads for easy cleaning- DOT approved for US safety standard. Specifications:- Size: S- Fits Head Circumference: 21 5/8" x 22 1/16" (55 to 56cm)- Overall Dimension (LxWxH): 10 7/8" x 14 3/16" x 10 1/4" (27.5 x 36 x 26 cm)- Material: ABS, EPS- Net Weight: 4 lbs (1.8 kg).Package Contents:- 1x Helmet- 1x Bag- 1x Manual. Notice:- Please measure your head circumference to determine which size is suitable for you before purchasing.